Further to our recent article on the Chinese Zero-Dollar tours to Thailand, we can report that two members of the family that ran the country’s biggest zero-dollar tour network have been remanded in custody without bail by the Criminal Court pending further police investigation. Police obtained a Criminal Court order on Thursday to detain Thongchai Rojrungrangsi, 60, and his daughter Saithip, 35, for the first 12-day detention period. 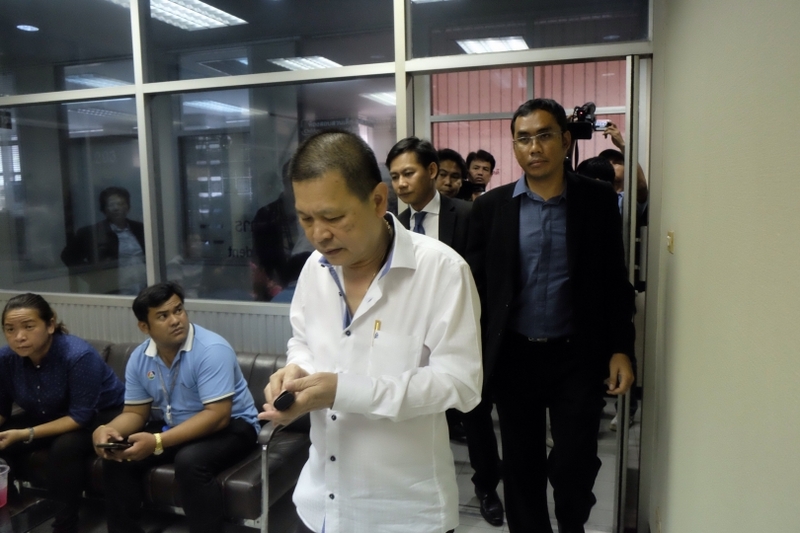 Also remanded in custody was Winit Chantharamanee, a 69-year-old director of Fuan Travel Co, which was a business partner within the tourism umbrella. Bail was refused on the grounds that their alleged crime affected the economy and national security. Possible penalties were harsh and there was a risk they could tamper with the evidence or witnesses, or even abscond. Police told the court that Mr Thongchai and his daughter were people of considerable influence. They also stated that from March 24 to Aug 31 this year, Fuan Travel brought tourists from China without charge. OA Transport Co of the Rojrungrangsi family then deployed its tour buses free of charge to serve the clients. OA Transport took tourists to its associated shops, which included the Baan Kanom Thongthip dessert shop owned by Ms Saithip. The price of the goods on offer were way above market retail rates and their labels breached labelling guidelines. This meant that tourists were obviously overcharged. Market regulations and free competition were affected and the country’s tourism image damaged. Mr Thongchai is the managing director of OA Transport and other associated companies. Investigators found that OA Transport paid a 30-40% sales commission to tour companies and 3-5% to tour guides. They were charged with violating tourism-related laws and laundering money. Mr Thongchai’s wife Nisa, 61, and son Wasurat, 26, who are also executives of their family’s companies, have been in custody since September 13. News of these clampdowns has been well-received by many associated with the tourism trade throughout the country as police continue their investigations.